Push him onto your aerial making it easier to spot your car in the car park. 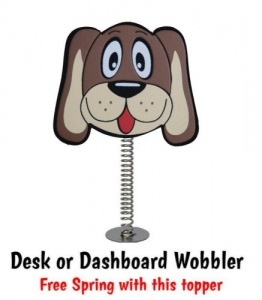 Or pop him onto a spring (supplied free) to turn him into a Dashboard Wobbler. 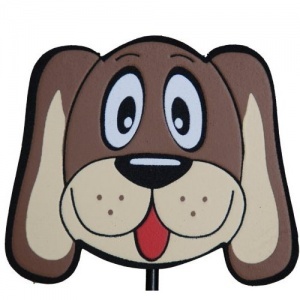 This is a flat Topper with the image printed on both sides. Size: 6cm across x 1.5cm thick. Made of: High density foam. 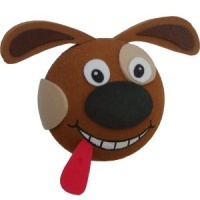 Well made, flat dog design with image on both sides. Looks great on the car and a nice snug fit on ariel. Received product with a good time and nice addition of the frog too (for spending over 5). Good value and will use in the future. Great product, arrived on time ! !